Stakeholder Design helped create the world’s first internet of things platform for the schools sector. It secured national coverage, including the Daily Telegraph article reproduced below, and has since had success in overseas markets such as Singapore and the UAE. DISTANCE (Demonstrating the Internet of School Things – A National Collaborative Experience) was intended to challenge the idea that schools should act as self-contained silos, largely independent of each other. It highlighted opportunities to help schools form the base of a massive new research grid in which they collaborated as originators and analysts of data of national importance. – Could we improve the gritting pattern by using hyper-local temperature indicators so that the roads most likely to freeze were gritted first? – What would happen if 24,000 UK schools were fitted with real time weather sensors? Could they do better than the Met Office? – How does air quality in schools affect concentration? – What are the prevailing patterns of energy use in schools? Could we use the information to improve the design of the next generation of schools? 1. 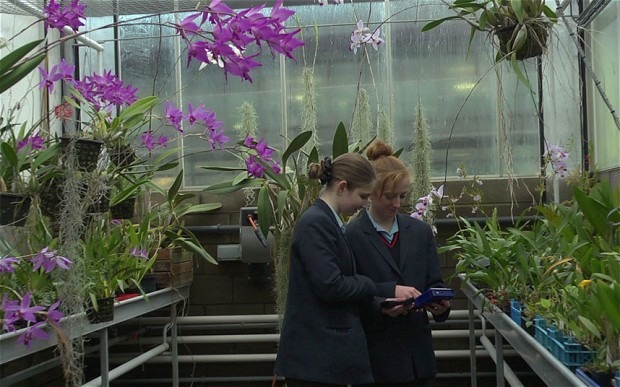 Students at Writhlington School near Bath have published peer reviewed academic journals focusing on rare orchids. As part of this, they used IOT sensors based in the jungles of Rwanda to provide real time information on temperature, humidity and light to their greenhouse, which then replicated the conditions. More information here. This project was led by one of our partners, Sciencescope. 2. I led a project at Alder Grange School in Lancashire, showing that certain types of classroom induce a degree of drowsiness that makes it impossible for students to concentrate effectively. We established this by measuring the buildup of CO2 and mapping it to the timetable. In essence, CO2 levels at 9am are normal; then, as 30 children begin to breathe in and out in a room where the doors and windows have been shut to keep out noise, those CO2 levels rise rapidly. By 11am they are above the level at which drowsiness may be expected, but fall slightly during the break as the door is left open. They then rise again in the lessons before lunch to a point where drowsiness is almost guaranteed. After lunch, CO2 levels again start to rise before falling off rapidlt at 3.15pm. This research is so convincing that it should surely influence the design of the next generation of classroom. The idea of the Internet of Things is to enable a world where devices, data and places are connected with applications and people over the Internet, transforming the way we discover and interact with the world. The Internet of Things is expected to incorporate over a trillion connected objects by 2025, and generate up to $14.4 trillion in revenue by 2020, according to predictions by technology companies ARM and Cisco. The new £800,0000 education project, funded by the Technology Strategy Board, aims to encourage teachers and students to take a more active role in creating and sharing digital content in schools. The project will be led by DISTANCE, a consortium founded to advance education through technology, which includes Intel, Xively, Science Scope, Explorer HQ, Stakeholder Design, University of Birmingham’s Urban Climate Laboratory, UCL Centre for Advanced Spatial Analysis, and The Open University Department of Computing. DISTANCE plans to create a digital information hub using Xively Cloud Services – a massively scalable cloud platform that is purpose-built for the Internet of Things. This will help the consortium to identify the incentives needed to encourage teachers, students and businesses to share certain types of data openly for the first time. Students and teachers will be taught to measure and share data – using new Internet of Things technology – in ways that help make learning fun, link directly to the curriculum, and ultimately inform the design of the next generation of schools. 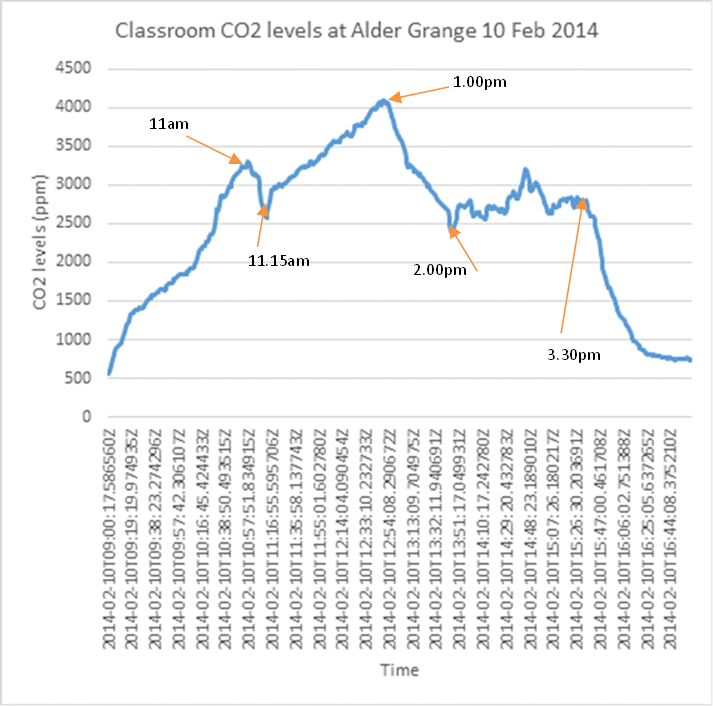 “One of the issues we have encountered has been the difficulty of combining data from different sources such as weather stations, PV cells and wind turbines in an effective way,” said John Kinchin, assistant head teacher at King’s School in Peterborough. It is hoped that the initiative will also encourage UK businesses to collaborate with the education sector on these new technologies, and better prepare children to work within the digital economy. “While Android and iOS carved a path for almost anyone to participate, many predict the Internet of Things is driving an order-of-magnitude jump in the type of commercial opportunities the economy will generate,” said Chad Jones, VP Product Strategy at Xively. DISTANCE will work with the eight schools to design the information hub at the end of the 2013 summer term. Following the trial, the consortium plans to roll out the programme across the UK.